Last year saw a swathe of reforms and proposed reforms in Asia in relation to litigation and arbitration funding. In January 2017, Singapore’s parliament passed the Civil Law Amendment Act and the Civil Law (Third Party Funding) Regulations 2017. Hot on Singapore’s heels, in June 2017, Hong Kong approved the Arbitration and Mediation Legislation (Third Party Funding) Amendment Bill 2017 and supplemented the Arbitration and Mediation Ordinance. And earlier this year, presumably in an attempt to keep pace with Singapore and Hong Kong, Malaysia announced proposed amendments to its Arbitration Act 2005 to allow third-party funding of arbitration. In typically proactive fashion, earlier this year the Singapore Institute of Arbitrators carried out a survey of professional litigation funders operating in Singapore, including Woodsford, to ascertain how matters had developed since the change in law. 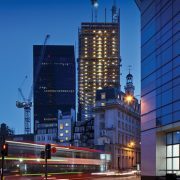 The general consensus amongst funders, and Woodsford’s own experience, is that the number of funding opportunities in Asia is gradually increasing and that, whilst some arbitrations were being funded, many had failed to meet the investment criteria applied by professional litigation funders. The most significant issue with the opportunities considered by funders to date appears to be ‘recoverability’, as funders struggle to get comfortable with the prospects of enforcement against parties with assets in jurisdictions such as mainland China, India and Indonesia. However, as parties arbitrating in Asia become more accustomed to the availability of third-party funding and the enforcement prospects in Asian jurisdictions improve, it is likely that significantly more cases will be backed by third-party funders. Funding in Singapore isn’t exclusively available for arbitration. Earlier this month, Singapore lawmakers passed the Insolvency, Restructuring and Dissolution Act, which enshrines in statute a liquidator’s or judicial manager’s power to assign the proceeds of an insolvent estate’s claim to a third party. This provision is said to have been introduced expressly to facilitate third-party funding of such claims. This legislative change follows the Singapore Court’s decisions in Re Vanguard in 2015, in which the Court permitted funding by former shareholders in an action arising out of an insolvency, and last month in Trikomsel, in which the Court permitted the funding by a third party of investigations and potential claims in the context of a major corporate collapse which cost Singaporean retail investors hundreds of millions of dollars. Collectively, these changes cement the availability of third party funding for insolvency claims in Singapore and, given the current momentum towards accepting funding as an integral part of the legal landscape in Singapore, it can only be a matter of time before Singapore decides to allow it in respect of all of its court litigation and arbitration. Perhaps the next step will be to allow it in claims before Singapore’s forward-thinking International Commercial Court. In Hong Kong, progress has unfortunately not been as impressive. Although Hong Kong’s lawmakers first commenced the process of allowing third party funding for arbitration before Singapore, in 2013, Hong Kong has long since been left in Singapore’s wake. 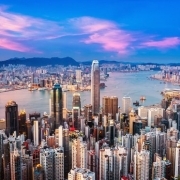 Although Hong Kong formally passed legislation permitting third-party funding for arbitration in June last year, over a year later the legislation has still not been formally implemented. As matters stand, therefore, funding of arbitration in Hong Kong remains an offence with civil and even criminal penalties. Unlike Singapore, the Hong Kong judiciary has on occasion shown itself reluctant to permit third party funding even in circumstances where a case appears to fall within one of the permitted exceptions to the prohibition outlined in the case of Seeberger v Unruh. In the recent case of Raafat Imam v Life, the claimant sought a declaration from the Hong Kong Court that the funding arrangement he proposed to enter into did not constitute maintenance or champerty or, alternatively, that his claim fell within the access to justice exception identified by the Court in Unruh. The Hong Kong Court of First Instance denied the application and held that the claimant’s application was effectively for a “declaration of non-criminality to fend off potential or possible criminal prosecution” and that such a declaration could only be made in exceptional circumstances. The Court further held that such exceptional circumstances are limited to situations where the integrity of criminal proceedings already instituted is questionable or critical life or death situations, and that neither arose in Raafat’s case. This decision is disappointing and appears to close the door on the ‘access to justice’ exception, which was the product of careful deliberation of competing public policies by Hong Kong’s highest civil Court in Unruh. Given that there will always be the ‘possibility’ of criminal prosecution as long as champerty and maintenance remains a criminal offence in Hong Kong, and that litigants requiring funding to achieve access to justice are rarely (if ever) likely to fulfil the exceptional circumstances requirement, it is difficult, on the basis of the decision in Raafat, to see how any party will ever be able to avail itself of the ‘access to justice’ exception. Indeed, the Raafat decision appears to undermine the decision in Unruh and render the ‘access to justice exception’ somewhat nugatory. Is the ‘exceptional circumstances’ test really what the Court of Final Appeal intended when it devised the access to Justice exception in Unruh? What if a litigant lacks the financial means to bring a meritorious claim? Does he or she fall within the access to justice exception or does his or her perfectly good claim founder because he or she is not facing a questionable criminal prosecution or in a life or death situation? Notwithstanding the position in Hong Kong, the global trend towards the erosion of the archaic doctrines of champerty and maintenance looks set to continue as other Asian jurisdictions, like Malaysia, sit up and take notice of developments in Singapore and Hong Kong, presumably conscious of the need to remain a competitive arbitral venue of choice. Although the introduction and take-up of funding in Asia thus far has to some degree at least been a ‘slow burn’, the signs for the future are promising. One by one, the common law jurisdictions in Asia are ridding themselves of the shackles of champerty and maintenance and beginning to appreciate the very significant benefits that third-party funding can bring, both in terms of enabling access to justice and promoting risk- and cost-efficient dispute resolution. https://www.leaders-in-law.com/wp-content/uploads/2018/10/HK.jpg 372 620 leadersinlaw https://www.leaders-in-law.com/wp-content/uploads/2017/11/logo-horizontal-white-transparant.png leadersinlaw2018-10-23 17:10:312018-10-28 09:00:38Litigation Funding in Asia – Where are we now? The bill, passed by the legislative council and announced on 14 June, will come into effect later this year. The law thus far has only permitted litigation funders to finance insolvency cases, but the recent news will bolster their cause and Hong Kong’s status as a centre for arbitration as the community is no longer held back by legal impediments. 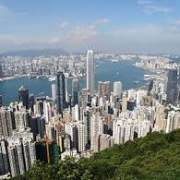 A source with knowledge of the matter said the Hong Kong government was aware that it risked losing its status within the top five for arbitration unless it acknowledged the very real presence of third party funding in the market. The source added that they expected there would be a flurry of work once the law comes into force. It is likely that the new law will alarm some in Hong Kong”s legal profession, which is known for its conservatism. Hong Kong inherited the ancient doctrines of maintenance and champerty as part of the legacy left by the British. It has taken until now for the government to decided that those common law doctrines should not apply to arbitration or associated mediation. The government has been careful to ensure that the legislative change is accompanied by the relevant safeguards to protect the system from potential abuse. Arbitration has been described as the perfect platform for Hong Kong and Singapore to “test the waters”. In January, Singapore passed a bill to allow third party funding in arbitration, and it is thought that both bills relating to arbitration could pave the way for the two jurisdictions to permit litigation funding, a phenomenon that is already threatening to shake up the legal order as we know it.